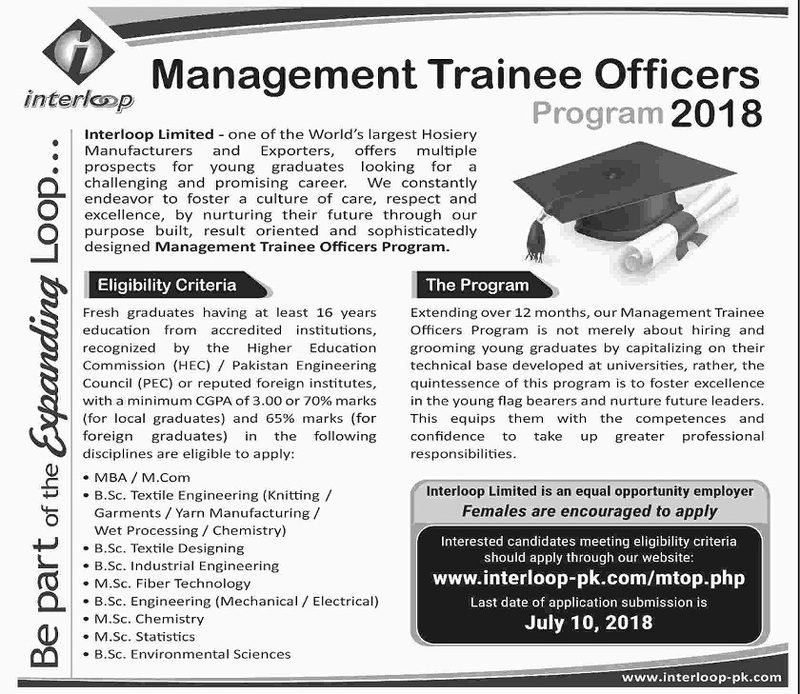 Extending over 12 months, our Management Trainee Officers (MTO) Program is a purpose built, focused and sophisticated designed series of activities aimed at inducting and grooming the most persuasive young graduates by capitalizing on their academic base established at universities. The quintessence of this program is to foster our Values coupled with professional excellence and confidence to take up future challenges. Fresh Graduates form HEC recognized university having 16 years of education in relevant field with minimum CGPA (3.00) or 70% marks(for local graduates) and 65% marks for foreign graduates.